The manufacturers added new features to the 2017 Jeep Renegade in Edmonton. On all trims, they added the Keyless Go feature whereas the Limited received passive entry, a standard feature. To the advanced safety package, they added automatic high beams and HID headlights. The 4-wheel drive boasts a spacious interior, thus making it perfect for families and road trips. When pitted against other SUV crossover vehicles, the car triumphed over them, racing its way to the finish line. Perhaps, the car’s win is due to the number of trims, variations, and features, which gives you the freedom to personalize the 2017 Jeep Renegade to make it truly your own creation. The 2017 Jeep Renegade receives two four-cylinder engines with the Latitude and Sport models receiving a turbocharged 1.4-liter engine. 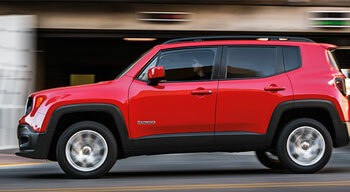 The 2.4-liter engine is an optional upgrade on the Latitude and Sport models, but the engine is a standard addition on the Trailhawk and Limited models. The type of engine you may select solely depends on the type of transmission you would like in the car. 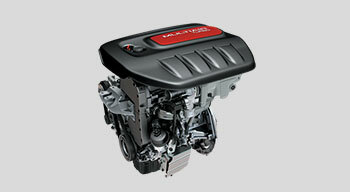 The 1.4-liter engine comes with a 6-manual speed manual whereas the 2.4-liter comes with a 9-speed automatic. You can buy both of them with a four-wheel drive instead of the two-wheel drive. In comparison to the 9-speed automatic transmission, the 6-speed transmission is easier to use. However, both in comparison to transmissions available in the previous models of Chrysler are far better to use. The towing ability of the 2017 model is also incredible, towing up to 2,000 lbs. People thinking of purchasing the 1.4-liter should not tow anything with their vehicle, as it does not come recommended. If your purpose is not to tow anything, you will find yourself at home with the 1.4-liter engine. 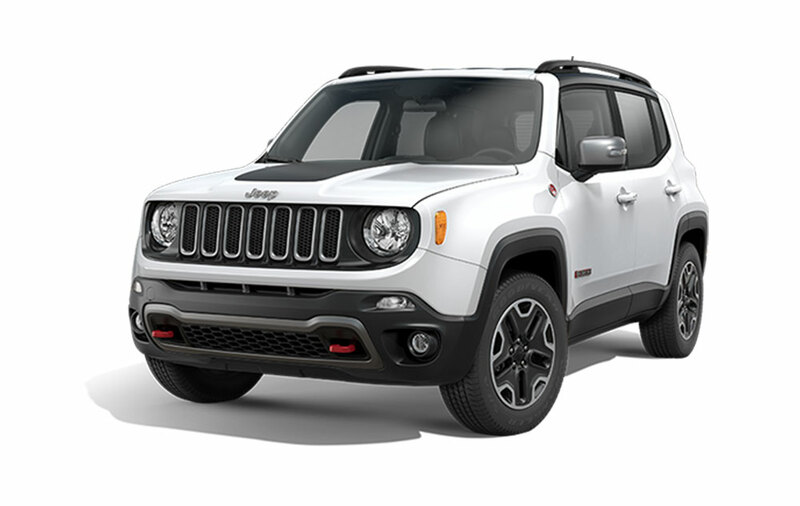 The 2017 Jeep Renegade is equipped with round headlights and a 7-slotted vertical grille. One of the most eye-catching features of the jeep is its angles that blend in flawlessly with its overall design as well as gives ode to the legendary Wrangler. Optional upgrades to the exterior include the My Sky detachable roof panels. If you want drive fast with the wind on your face, the roof panel upgrade may be right for you. If you are thinking of purchasing the Trailhawk models, you will be pleased to know that the models have skid plates and red tow hooks in the front and back. The 2017 Jeep Renegade has a spacious interior. The 5-seater interior is large, but you will really get a feel of how large the interior is when you sit in the car. To make the interior spacious and more inviting, the manufactures decided to play around with its shape. The blocky shape of the Jeep Renegade allowed them to increase legroom space in both rows as well as add 18.5 cubic feet of storage space to the vehicle. 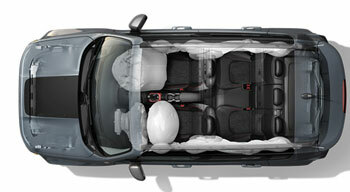 If you want more space, just fold down the rear seats to free up more than 50 cubic feet. Do you want even more space? You can fold the passenger seat in the front to store longer items. However, the ability to fold down the front seats is included in every model, expect for the standard models. The driver also has a good, elevated, and comfortable position to drive the car. 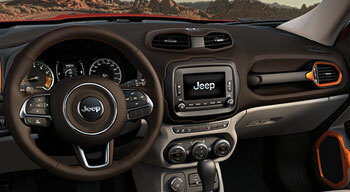 Some details included in the 2017 Jeep Renegade are the storage bin in the front and the texture of mud spatter on the tachometer. The 2017 Jeep Renegade comes in four trims, Limited, Sport, Trailhawk, and Latitude. The base models, priced considerably lower than other models, are equipped with simpler and basic features such as AM/FM radio with USB, power windows, 6-way adjustable driver front seat, 16-inch wheels, and door locks. The two features absent from the base models include Bluetooth connectivity and the standard air conditioning. If you do want to settle for less, you can always go for the Latitude trim. The Latitude trim offers 5-inch Unconnect infotainment system, fog lights, and rearview cameras. The optional features on the models include the four-wheel drive, which is available on all models, except the Trailhawk. If you want to opt for an automatic transmission, you will need to upgrade to the 2.4-liter engine. The larger engine comes standard in the Trailhawk and Limited trims, but is an optional in all other models. Other upgrades you can select include the leather seats, blind-spot monitoring, lane-departure warning, steering wheel, heated seats, navigation system, 506-watt audio with nine speakers, dual-zone climate control system, My Sky detachable roof system, rear park assist, and rain sensing wipers. The options you will receive vary by model. The four-wheel drive trims come with a terrain select system that enhances the traction power in the 2017 Jeep Renegade, thus allowing the driver improved control in environments with sand, snow, mud, and rocks. Do you want to take the 2017 Jeep Renegade for a test drive? Why don’t you visit Derrick Dodge today? 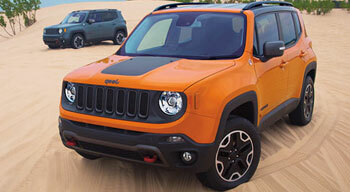 We have all models of the latest Jeep Renegade available. You can customize your jeep just the way you want to make it perfect for you and your needs. If you are looking for a sturdy and spacious car for your family, this may just be the right car for you. Test the 2017 Jeep Renegade at Derrick Dodge! Whether you’re ready to make a purchase or just curious if this might be the right model for you, take the drive from St. Albert or Sherwood park to get behind the wheel of the 2017 Jeep Renegade at Derrick Dodge Chrysler Jeep RAM. Our doors are open to serve you seven days a week, and you can always contact us for more information.